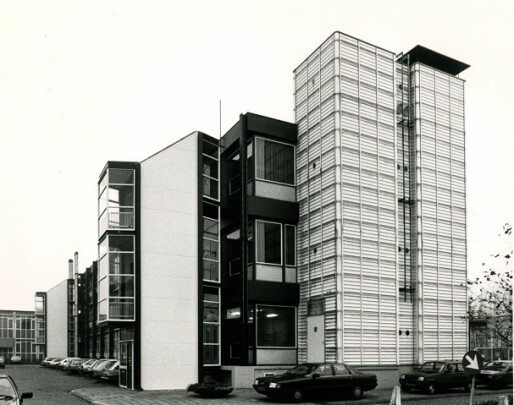 This laboratory for research into synthetic materials is built up from a system developed by M. Zwarts. Its main load bearing structure remains outside the building. Following an independent scheme, frontage and inner walls consist of rolled steel posts with an infill including sandwich panels clamped in with terminal strips. All components deviating from the building's modular plan are situated outside the planning grid.